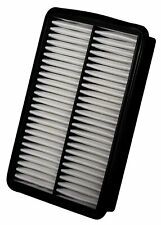 PREMIUM GUARD supplied your vehicles manufacturer with the Air Filter. We think your vehicle needs 0. Last Updated: 04/23/2019 11:38:11 PM. The engine types may include 2.0L 1998CC 122Cu. l4 GAS DOHC Naturally Aspirated, 2.0L 2000CC 122Cu. The engine types may include 2.0L 1998CC 122Cu. l4 GAS DOHC Naturally Aspirated, 2.5L 2488CC 152Cu. l4 GAS DOHC Naturally Aspirated. This part fits vehicles made in the following years 2012, 2013, 2014, 2015, 2016, 2017, 2018. PREMIUM GUARD may have supplied the vehicle manufacturer with the Cabin Air Filter. Last Updated: 04/23/2019 11:38:11 PM. The engine types may include 2.0L 1998CC 122Cu. l4 GAS DOHC Naturally Aspirated, 2.0L 1999CC 122Cu. MPN: PC4482. 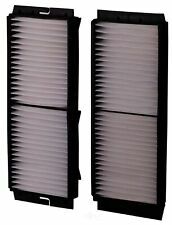 Pronto Cabin Air Filter. Overdrive has been in the automotive parts industry for over 15 years. FIND THE RIGHT PART FOR YOUR CAR. QUICK LINKS. MIRROR ASSEMBLIES. MIRROR GLASS. OTHER PRODUCTS. PREMIUM GUARD supplied your vehicles manufacturer with the Auto Trans Filter Kit. We think your vehicle needs 0. Last Updated: 04/23/2019 11:38:11 PM. The engine types may include 1.6L 1589CC l4 GAS DOHC Naturally Aspirated, 1.8L 1839CC l4 GAS DOHC Naturally Aspirated, 2.0L 121Cu. Part Number: PG4612EX. The engine types may include 1.0L 1000CC 61Cu. l3 GAS DOHC Naturally Aspirated, 1.0L 1000CC 61Cu. l4 GAS SOHC Naturally Aspirated, 1.0L 995CC 61Cu. l3 ELECTRIC/GAS SOHC Naturally Aspirated, 1.1L 1086CC 66Cu. Part Number: PG241. The engine types may include 1.0L 970CC 59Cu. l4 GAS SOHC Naturally Aspirated, 1.0L 993CC 61Cu. l3 GAS Naturally Aspirated, 1.0L 993CC 61Cu. l3 GAS SOHC Naturally Aspirated, 1.0L 993CC 61Cu. Part Number: PG4612. The engine types may include 1.0L 1000CC 61Cu. l3 GAS DOHC Naturally Aspirated, 1.0L 1000CC 61Cu. l4 GAS SOHC Naturally Aspirated, 1.0L 995CC 61Cu. l3 ELECTRIC/GAS SOHC Naturally Aspirated, 1.1L 1086CC 66Cu. Part Number: PG5505EX. Life Cycle Status Code : 2. The engine types may include 2.0L 121Cu. l4 GAS DOHC Naturally Aspirated, 2.3L 140Cu. l4 ELECTRIC/GAS DOHC Naturally Aspirated, 2.3L 140Cu. l4 ELECTRIC/GAS DOHC Naturally Aspirated, 2.5L 2488CC 152Cu.